All past Award Winners are listed below. If you want to apply for next year’s award, please go to our Call for Nominations page. Built in 1940 as a movie theater, the Art Moderne Miller Theater was abandoned in 1984. Peter Knox donated the theater to the Augusta Symphony in 2008, kicking off the rehabilitation of the 35,000 square-foot building. 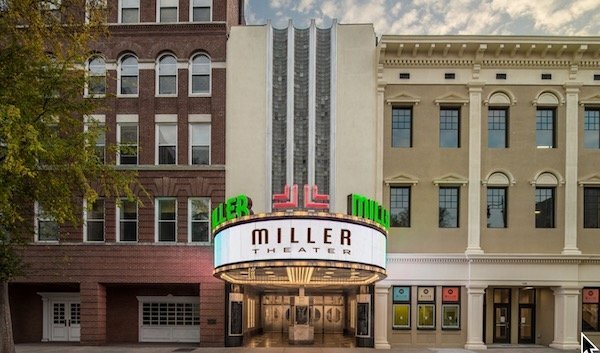 Following a 2.5-year study period and a $23 million capital campaign, the Miller Theater reopened in December 2017. 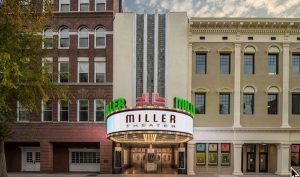 SESAH’s 2018 Best of the South: Preserving Southern Architecture Award Committee was impressed with the Miller Theater team’s creative approach and careful execution of its rehabilitation plan. For a detailed description of the award submission with photographs, click on the following link which opens a 3MB PDF. 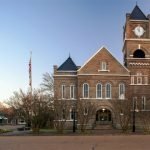 In 1987 the National Register of Historic Places established the Lower Basin Historic District in Lynchburg, Virginia. This important nineteenth-century commercial and industrial area of Lynchburg played a major role in the manufacturing, marketing, and transportation of Central Piedmont Virginia, first with bateaux boats carrying tobacco and wheat to the port of Richmond, and later with the James River and Kanawa Canal and railroads that also carried goods to the west into the valley. The Lower Basin was also documented in 1977 by the Historic American Engineering Record. One of the few remaining parts of this riverfront scene is the Piedmont Flour Mill building, operating from 1875 into the 1970s. 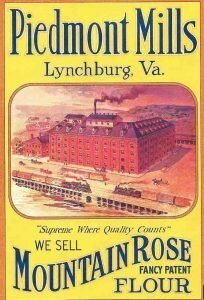 The Piedmont Flour Mill was the largest commercial structure in Lynchburg and replaced an earlier structure of the same function. This four-and-a-half story brick building features full-height pilasters, a corbeled brick cornice, segmental arched openings, and a double row of gabled dormers. The building is the last large-scale flour mills in the area and state, and narrowly escaped demolition in the 1990s. The history of the mill was thoroughly researched and documented in a monograph by Robert Merchant in the 1990s when former workers were still available for interviews. Other visual documents are part of the Lynchburg Museum and the Jones Memorial History Library. When new owners purchased the building in 2010, it was still condemned by the city. In 2014 plans for this tax act project proceeded for its rehabilitation as multi-family apartments and commercial use. In 2015 the interior work began and the five million dollar project was completed by January 2017. The entire brick exterior was restored and 70% of the interior wood elements were saved. Original windows were restored, as were slate and metal roofs and the roof-top mechanical penthouses. Mechanical parts from the industrial flour milling operation have been retained in some of the 55 residential apartments and in common areas. Great effort was made to retain and incorporate the interesting four-story interior silos made out of stacked 2×6 lumber. The one and two bedroom apartments are configured to take advantage of the original building features with exposed structural beams, stacked silo walls, original floors, old mechanical parts, new appliances, and granite counter tops. The open steel staircases throughout the building are in keeping with the industrial nature of the building and feature thick original wood from the building used as treads. The lower level contains 3,000 square feet of commercial space. Historic photographs of the mill hang on the common area walls. Original flour sacks found in the building are featured in a museum type exhibit case near the front entrance. The office entrance to the building features an old mill stone step and the adjacent sidewalk is a rare preservation of a cobblestone and drain surface. On the rear of the building an open air courtyard was created for residents to use for grilling and outdoor events. The concrete silos behind the mill are also considered as future residential use. The Piedmont Flour Mill Lofts is part of an urban renewal and preservation renaissance in downtown and riverfront Lynchburg. In the past five years the downtown area has exploded with new loft apartments, hotels, restaurants, shops, and recreational facilities. The city has spent considerable funds creating a multi-use public park on the riverfront that hosts many festival and concert events. The Bluff Walk connects the upper part of downtown with this public James River park area near the Piedmont Flour Mill where the public can walk and bike over an old railroad bridge to an island in the James and over a second bridge to the other side. The Piedmont Flour Mill is one of the latest, and largest, of these urban renaissance projects that provide a visual link to the important commercial and industrial history of Lynchburg. The 2016 winner of the Best of the South Award is the Johnny Cash Boyhood HomeRestoration by Arkansas State University. For more information about the Arkansas State University Heritage Site, please visit http://dyesscash.astate.edu. The committee found this team’s work remarkable in its commitment to the accurate restoration and interpretation of this modest home. The innovative and intensive restoration methodology, using virtual models as well as an intervention to move the building to remediate soil and shore up the foundation, exhibited a combination of best practices and elegant problem solving. The finished house illustrates in tangible form a critical era of American history while at the same time conveying the rags to riches story of an American music icon. Using the records of the Dyess Colony, one of the Roosevelt Administration’s New Deal resettlement communities, and obtaining historic photos and recollections from Cash family members, the research team also took a creative crowdsourcing approach to find period furnishings for the house. 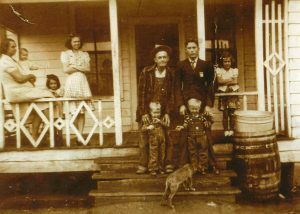 The Johnny Cash Boyhood Home is now open six days a week and has had visitors from more than 40 countries and all 50 states. Along with the restored house and restored Dyess Colony Administration Building, both completed in 2014, Arkansas State University opened a Visitors Center in the re-created Dyess Theatre and Pop Shop in May 2016. Additionally, historic markers have been placed at former locations of other important Dyess Colony New Deal buildings. 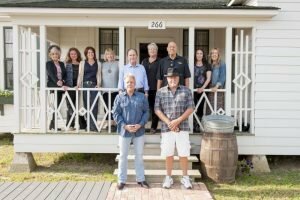 Plans are now underway to re-create the outbuildings at the Cash farmstead, along with a biking-walking trail that will connect the Johnny Cash Boyhood Home with the Historic Dyess Colony Center. What a remarkable project! In 2016, the committee also recognized the adaptive reuse project Ponce City Market in Atlanta, Georgia, submitted by Surber Barber Choate & Hertlein Architects PC, with a Special Commendation. For more information about the project, please visit http://www.sbcharch.com/commercialinstitutional/ponce-city-market/photos-pi_151.html and http://www.poncecitymarket.com. The committee found this team’s work remarkable in its commitment not only to the Secretary of the Interior’s historic preservation standards but also to sustainable design and energy efficiency that merited LEED certification. Further, the reinvigoration of the 15.9-acre site imaginatively re-purposes the landscape setting while maintaining links to its historic use. Ponce City Market’s multi-level complex of commercial, residential, leisure, and retail spaces served by the Atlanta Belt Line light rail and trail system reflects both its initial identity as Ponce Springs Amusement Park as well as the rail-connected southern distribution center for the Sears Roebuck & Company. 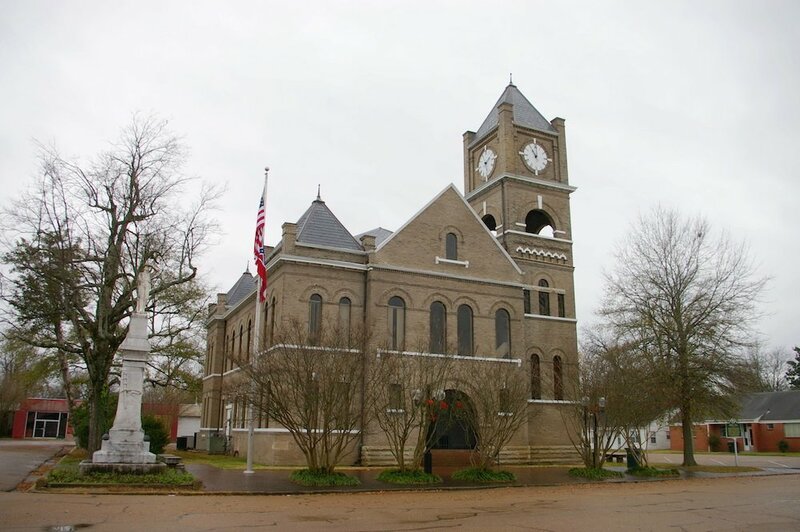 The 2015 winner of the Best of the South Award is the Tallahatchie County Courthouse Restoration, submitted by Belinda Stewart Architects. All photographs courtesy of Langdon Clay. 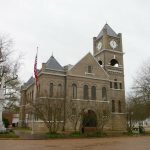 The Best of the South: Preserving Southern Architecture Award was first presented in 2006 (read more…). The 2014 Award goes to the Charnley-Norwood House, Ocean Springs, Mississippi. The restoration of the historic Charnley-Norwood House in the wake of Hurricane Katrina represents the best of preservation practice and sets a standard for the careful recording of building material and form. One of two vacation houses designed by Louis Sullivan and Frank Lloyd Wright in Ocean Springs, the Charnley-Norwood House survived the hurricane’s fury. Katrina was not the first disaster to strike the house. Originally built in 1890 for a Chicago-based lumber baron named James Charnley, the house burned and was rebuilt for another Chicagoan, Frederick Norwood, by 1900. The 2005 hurricane gave new meanings to this ethos, washing though the house and lifting it from its foundations. The Mississippi Department of Archives and History (MDAH), together with the National Trust, the Frank Lloyd Wright Conservancy and other stakeholders, prevented demolition of the house. MDAH oversaw the emergency stabilization in 2009. Then began the two-year research and documentary effort. In 2011 the Mississippi Department of Marine Resources acquired the house and, with the MDAH, launched a restoration campaign that returned the Charnley-Norwood House to its circa 1900 appearance. On behalf of SESAH, the awards committee is honored to recognize a collaborative effort in rescue, research, and restoration that is as commendable as the landmark’s design collaboration between Sullivan and Wright and one that is truly the Best of the South. 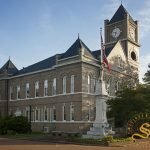 Established in 2006, SESAH’s annual Best of the South (BOTS): Preserving Southern Architecture Award honors a project that preserves or restores an historic building, or complex of buildings, in an outstanding manner and that demonstrates excellence in research, technique, and documentation. The 2013 award goes to Dan Beaman and Jerry English from Cummings and McCrady, Inc for their work on the restoration and conservation of Randolph Hall, Towell Library, Porter’s Lodge, and the Cistern on the campus of the College of Charleston. The 2012 winner was Mission Concepcion, San Antonio, Texas. 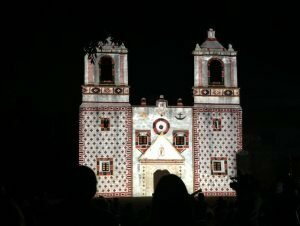 La Concepcion constitutes one of San Antonio’s five extant Spanish Colonial missions. 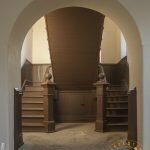 Submitted by Ford, Powell and Carson; this exemplary interior restoration joins the long and prestigious list of single site restorations to have been honored by SESAH. Completed in 1740, La Concepcion has long been recognized as local landmark. As was the case with many Southwest missions, the church fell into disrepair during the early 19th Century. Despite extensive deterioration, La Concepcion is the only one of San Antonio’s missions to retain its original roof. Survival of the roof structured playhed a significant part in the preservation of the building’s 18th-Century frescos, portions of which were discovered during the recent restoration. The methodology and the quality of the interventions (encompassing preservation and restoration techniques) serve not only to revitalize a historical landmark, but also to bolster awareness of traditional building trades. Of particular importance is the retention of treatments from different periods allows which allow users to see how the interior evolved over time. By enriching the experiences of worshippers, locals, and visitors to the mission; the restoration of La Concepcion’s interior extends beyond the realms of the preservation arts and academic inquiry, thereby enriching the whole community. The Mississippi Division of the Sons of Confederate Veterans (SCV) and the state of Mississippi for the restoration of Beauvoir, the Jefferson Davis Home and Presidential Library, in Biloxi, after the devastation of Hurricane Katrina in 2005. The meticulous restoration effort was led by Albert & Associates Architects, of Hattiesburg, whose work at Beauvoir continues to receive accolades, including an Honor Award from the American Institute of Architects. 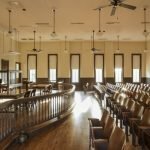 The Preservation Trust of Spartanburg, South Carolina, for its innovative street-wide approach to countering the problem of urban decline and abandonment in the historic Hampton Heights neighborhood, specifically along Carlisle Street. 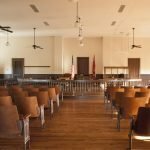 McMillan Smith & Partners Architects, PLLC, of Spartanburg, South Carolina, for the restoration of Walker Hall at the South Carolina School for the Deaf and the Blind. Founded in 1849, the South Carolina School for the Deaf and the Blind enriched the lives of generations of sensory disabled students. Architect Edward C. Jones designed Walker Hall as the centerpiece of the campus in 1859; the building was expanded by famed architects Samuel Sloan of Philadelphia (1884) and Edwards & Sayward of Atlanta (1921). The Coastal Heritage Society of Savannah, Georgia, for their preservation, restoration and adaptive use of the mid nineteenth-century Roundhouse Railroad Museum Complex in Savannah.